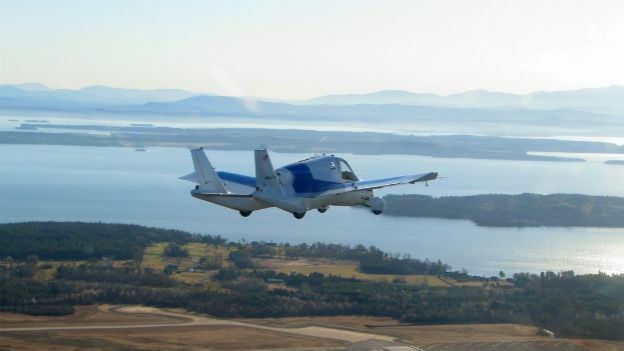 We've been promised flying cars for a while now and the company looking most likely to deliver has just made a bit of headway with a successful test drive, flight and drive again. The company, US-based Terrafugia, completed a test flight of the Transition (a $280,000 hybrid with folding wings) over the blue skies of Wisconsin at the EAA AirVenture expo this week. The car has been under development since 2006 and the model that completed the flight this week was the second prototype Terrafugia has developed. It's street-legal, runs on premium unleaded petrol and will do 35 miles to the gallon. Readers of T3's print or iPad editions may remember Terrafugia from our August issue when we covered the TF-X VTOL concept the company has also designed. Although the TF-X won't be arriving until the mid-2020s, Terrafugia hopes to have the Transition available to buy (in the States) in 2016. You'll have to whack down a £6,580 deposit and get your pilot's licence in the meantime though.